The Young Communist League of Canada (YCL-LJC) is a Canadian Marxist-Leninist youth organization founded in 1922. The organization claims to be politically and ideologically united but organizationally independent from the Communist Party of Canada. Although the YCL has no status in the CPC's constitution, the YCL and CPC also share overlapping membership. The organization is of interest to students of left history for its role in the On-to-Ottawa Trek, the Mackenzie–Papineau Battalion and other youth and student struggles. It continues to be active today. The YCL-LJC is made up of school and community clubs across the country. We are a mass-based organization of young workers, employed and unemployed, high school and post-secondary students, young women and men, queer and straight -- all classes and strata of the population who are exploited and oppressed by Canada’s monopoly capitalist system. We mix culture with political activism, debate, discussion and education. The Young Communist League of Canada was founded at a convention in Toronto in 1923 as the youth wing of the Communist Party of Canada. Since that time, the level and form of YCL action have varied. Founded in 1923 as the Young Workers League (YWL) due to the War Measures Act proscription of Communist and other radical organizations in Canada, the lifting of the Act in late 1923 saw the name change to its current form. Leslie Morris was the League's first General Secretary (serving from 1923 to 1924.) 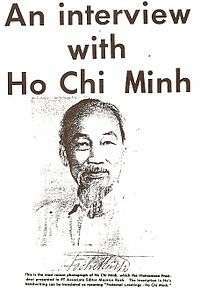 The League soon became a member of the Young Communist International (YCI), an international association of similar bodies from around the world. Notably, the YCI included the USSR's Komsomol which served as the model for all other member organizations. According to early organizer Dave Kashtan, the YCL "served as an educational organization for young workers and students, educating young people 'in the spirit of socialism'." Some of the League's earliest organized efforts took place in major cities such as Toronto, Montreal, Winnipeg and Vancouver, finding notable success among the youth of immigrant communities. The interest of young people in the YCL reflected the times. The recent success of the October Revolution (which established the USSR) and the Western response to it had great impact on some Canadian workers. Although Canada's economy was in a boom, some youth could still remember the post-war unemployment and misery which abounded immediately after the First World War. The YCL's stated purpose was to organize young workers and students toward achieving better working conditions and an enhanced quality of life; though its constitution declared it to be independent and without party affiliation, it publicly supported the policies of the Communist Party of Canada. According to Kashtan, who became a YCL organizer at age 17, "We believed that socialism offered the only remedy for unemployment and poverty." By 1928, the League operated 40 schools in Canada with an attendance of 2,000 children. YCL organizers in Montreal around that time included Fred Rose and Sam Carr, who would later become leaders of Canadian Communism. The onset of the Great Depression inflicted great suffering and hardship on Canadians. The YCL noted in its seventh national convention of August 1934, noted the conditions of "unemployment, hunger and misery." Although the total membership was never large, the YCL's influence and activities in youth movements during the Great Depression were notable. YCL members were involved with unemployed movements, peace activism, trade union activistm and campus organizations. Under the slogan "Work and Wages", YCL members worked to organize the unemployed who populated relief camps across the country. "The leading preoccupation of the YCL when I became secretary," Maurice Rush says in his autobiography, "was to organize unemployed youth." Like many other observers, Rush (who was leader of the YCL in British Columbia after 1935) claims that the YCL was active in the Relief Camp Worker's Unions (RCWU), and played a role in mobilizing relief camp youth to participate in the On to Ottawa Trek. During the Trek, many working people opened their homes and cupboards to the protestors, sometimes sharing family relief rations. Communist women in Vancouver issued a call for a solidarity action, and five thousand working-class women came out to a special "Mother's Day" demonstration on behalf of the camp workers and to demand the closing of the camps. Informed by Vancouver's mayor that the limited scope of the Municipal Council was ill-equipped to address their claims, the British Columbia branches of the YCL and the Communist Party of Canada together with the Camp Workers' Union decided to march on Ottawa, believing that only action on a national scale could motivate the Bennett Conservative government to hear their concerns. YCL member Arthur (Slim) Evans was elected leader for the cross-country journey. Bennett was widely criticized for his handling of the situation. However, for the unemployed young workers, the strike was a tremendous gain as it was a Communist-led struggle. Later that year, the Bennett government fell in the election, providing impetus to the movements for public health care, education, unemployment insurance and other social safety-net reforms. In the same period, a Pioneers movement of young children with Communist or sympathetic parents was organized with membership numbering around 6,000. Under the leadership of the YCL, the Pioneers published its own magazine with a circulation of roughly 4,000. The YCL's mandate was not limited to the plight of unemployed youth. In 1935, an official Communist club was established at the University of Toronto. As British Columbia YCL leader Maurice Rush noted, "The members realized that the struggle for a decent life for the young generation of the Thirties required broad, united public action by all sections of young people. We worked tirelessly to build that unity, with considerable success. Together with changing conditions domestically and internationally with the rise of Fascism, this led to a new conception of the YCL and its role in the struggle. As the 1930s progressed, Fascism was growing in Europe, Asia, and in North America itself. With the Japanese invasion of Manchuria in 1931 and Fascist Italy's invasion of Ethiopia, Canadian Communists joined those sounding a warning against the growing threat fascism presented. Some right-wing students at the University of Montreal organized demonstrations against the League, which became violent, involving bricks being hurled. At the same time, "the Mayor of Montreal banned protest meetings supported by labour organizations." Together with the Communist Party, the YCL began reaching out to youth organizations across the country. A joint youth council sprang up in Winnipeg, followed by others around the country. In May 1936, the Canadian Youth Congress was founded at a national conference in Ottawa and prepared delegates for the World Youth Congress held in Geneva later that summer. Among the Congress's aims was the intention to act as a lobby group on issues of peace, education and unemployment. To that end, the Ottawa conference produced the Declaration of Rights of Canadian Youth, resolutions on Canadian youth and world peace, and the proposed Canadian Youth Act. RCMP security bulletins show leading members of the YCL to have been enthusiastic proponents of the Congress and among its key organizers. As the likelihood of war increased, efforts to mobilize Canadian youth for peace took center stage alongside efforts to pass the "Youth Bill," a document which sought economic protection for youth and the repeal of the Military Service Act. At its peak, the CYC had a constituent membership of over 400,000 and its annual national conferences were attended by over 700 young people. The second Canadian Youth Congress in Montreal in May 1937 saw a drive to broaden the scope of the movement and to increase participation among French-Canadian youth. British Columbia organized their own BC Youth Congress, which was initiated by the Young Men's Christian Association (YMCA) in conjunction with the League. Annual conferences were held from 1936 to 1940 where CYC members continued to speak out against the rising tide of fascism until 1942. Antifascism became a major position of the Congress, and Congress representatives became involved in activities that supported Loyalist Spain which the YCL strongly championed. The first major battle against fascism occurred in Spain, when General Franco mobilized his troops against the democratically elected government of the Spanish Republic; inciting the Spanish Civil War. Assistance to the Spanish Republican forces came from around the world, including Canada. Throughout the Spanish Civil War, the YCL joined with other organizations to organize the Mackenzie-Papineau Battalion in which YCL members fought with Republican troops. 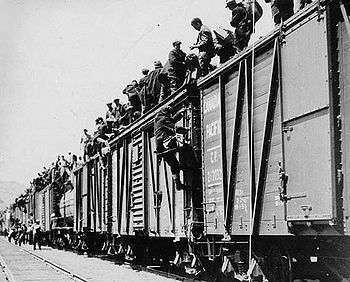 With the assistance of the Communist Party of Canada, 1200 Canadians made their way to Spain. The majority of the members (of the Workers Sports Association) were young needle trades union members. [...] The largest crowd ever at the games in Fletcher's Field took place at a soccer game between the Toronto and Montreal WSA clubs in support of Dr. Norman Bethune's Blood Unit in Spain. Many thousands of Montrealers rallied to give their support to the struggle to "Save Democracy in Spain." Actions like this earned the WSA the attention of the police in cities like Montreal, Toronto, Ottawa and Vancouver, where WSA clubs were under police surveillance. "A boxing event was arbitrarily cancelled. In Toronto, hall owners were warned that their hall licences would be cancelled should the premises be rented for WSA functions. A police raid of the Vancouver WSA club led to the confiscation of its membership lists and the club's equipment." In BC, League members organized "Girls Brigades" to raise aid for Spain, a solidarity effort which won world-wide attention. After the Spanish Civil War, the YCL continued its anti-fascist actions and published a newspaper, "The Young Worker" until the League and the Communist Party were banned in 1941. Canadian Communists re-organized themselves as the Labor-Progressive Party while the YCL became the National Federation of Labor Youth. The NFLY was not formed as an explicitly Marxist-oriented organization, but instead based on the concept of the 'popular front.' In some instances it merged with chapters of the Co-operative Commonwealth Youth Movement, the youth wing of the social democratic Co-operative Commonwealth Federation. This policy was contrary to that of the CCF and resulted in the expulsion of numerous Communists from the party's ranks. While the new NFLY grew rapidly, the Federation reconsidered this approach after the war and re-oriented itself as a communist youth organization. In November 1945, the NFLY was a founding member of the World Federation of Democratic Youth. The NFLY along with the LPP faced repression throughout the Cold War. The NFLY attempted to fight growing anti-Communist sentiment and isolation through efforts in the peace movement, including a campaign against the Korean War. Their efforts at this time included the "8 Cent Candy Bar Strike:"
The Wigwam in Ladysmith raised the price from 5 cents to 8 cents, a 62% price increase! Sixteen-year-old Parker Williams and his school chums were outraged. That increase represented a significant cost increase when the average allowance for a teenager was less than a dollar. Signs were painted, Parker actually decorated his old car, a 1923 McLaughlin. A parade was staged, and it was so successful they actually turned around and went back up the street. On April 30, 1947, approximately 200 children stormed the Victoria legislature demanding action. A day later in Toronto, students from three different secondary schools staged a mass protest. In Fredericton, children combined their sugar rations to make large masses of homemade fudge. There was a demonstration in every major city. "The kids' national boycott of more expensive candy was no laughing matter for stunned proprietors who watched their sales fall eighty percent overnight. Child pickets besieged storeowners with whistles, armbands and placards bearing slogans like 'Don't be a Sucker! Don't Buy 8 Cent Bars!'" A cross-country protest was planned for May 3. The protest was quelled, however, by the Toronto Telegram's accusations that the National Federation of Labor Youth was a communist front determined to "plant a few of the seeds of Marxism." Around the same time, the Federation also launched a campaign in support of Julius and Ethel Rosenberg and worked with organizations like the Student Christian Movement to bring youth to the World Festival of Youth and Students in Prague (1947), Budapest (1949), Berlin (1951), Bucharest (1953), Warsaw (1955), and Moscow (1957). In 1958, a divide appeared at the Labor-Progressive Party congress following the 1956 Soviet invasion of Hungary, Nikita Khrushchev's Secret Speech and allegations by J.B. Salsberg about anti-Semitism in the Soviet Union under Stalin and Khrushchev. Following the divide and the lifting of relevant prohibitions, the party reformed as the Communist Party of Canada while the NFLY re-organized as the Socialist Youth League of Canada and began publishing a newspaper called "Scan." At the May 1960 meeting, the SYL voted to change its name to the Young Communist League. In 1968, the Communist Party of Canada officially restarted the Young Communist League. Leaders of the YCL during the late 1960s and early 1970s included Elizabeth Hill and Mike Gidora. One young activist during this time was future Party leader, Elizabeth Rowley. Unlike the NFLY, the new YCL was largely sidelined by more radical youth groups aligned with the New Left. This was especially true in the student movement, where it was unable to play an effective role in preventing the dissolution of the Canadian Student Union in the late 1960s. The re-founded YCL was active in campaigns such as support for the Cuban Revolution, opposition to the Vietnam War, and solidarity with the people of Chile and South Africa. With offices across the country, the YCL resumed publishing The Young Worker which became "New Horizons." It also staged campaigns for lower transit rates and picketed the few white-only restaurants still operating in Canada. Unlike the league's previous incarnation, the new YCL contained an autonomous unit for Quebec, the LJC(Q). By the late 1970s and into the early 1980s many members of the LJC(Q) were playing leading roles in the Quebec student movement including Quebec National Association of Students, while English-Canadian YCL members were active in the National Union of Students. The YCL benefited from the proposals of the USSR which were understood as calling for an end the arms race and for disarmament by the resurgent and broad anti-war movement in the early 1980s. The YCL actively joined in the anti-nuclear movement across Canada including Quebec. The League changed the name of its publication to "Rebel Youth," following the Cuban revolutionary youth group by that name. At the same time, the Quebec body also began publishing its own French language magazine for youth. The 80s also saw renewal of YCL leadership in many areas, leading to a more open and active approach by the League to youth struggles. The YCL was able to make inroads in places like Alberta, renewing its organization through the student movement. The YCL also supported the developments in El Salvador and Nicaragua, sending a delegation to help with the 1989 Nicaraguan coffee harvest. The YCL also sent a member on a fact-finding mission to Palestine about the situation in the Gaza strip. Several members also toured the Soviet Union, and the YCL organized for the 1985 and 1989 youth festivals in Moscow and Pyongyang, respectively. But the late 1980s were also a time of growing political and ideological disagreement within the League over the new policies of the Soviet Union, with Glasnost and Perestroika. 1990 saw a major debate develop in the YCL around the changes in the international socialist movement that were taking place at that time. This had also lead to a deep crisis in the CPC that followed the counter-revolution or dissolution of the Soviet Union. The Communist Party of Canada began a bitter internal factional fight leading to a split. The initial battles of that ideological fight were quickly carried into the YCL. By the end of the struggle, the group nominally led by George Hewison had formed the Cecil-Ross Society while the Leninist core of the party retained the name of the CPC. The Cecil-Ross Society advocated the break-up of the CPC and formation of a broad-left political organization. Their first test-run was in the YCL, where a coordinated effort was successfully made, at first behind closed doors, to shut-down the YCL and convert it into an organization known as "Rebel Youth." The Party office, within which the YCL office was held, the Party's printing press, and much of the Party's savings and few YCL and CPC members went with the short-lived Cecil-Ross group. Many former YCLers left communist politics altogether. A smaller core group of former YCLers chose to stay with the CPC, putting most of their efforts into rebuilding the Party. For just over ten years, from 1992 to 2003 there was no YCL in Canada. The last leader of the YCL was Merle Terlesky of Toronto who took over after its leader Chris Frazer departed from the group in in 1990. Terlesky, who was part of the reform Hewison group, closed the national YCL office after he returned from a 3-month trip to the USSR in 1991. Seeing little interest across the country in carrying on the defunct YCL, he did little to rebuild it otherwise. Terlesky spoke at a USA/YCL convention and informed them that the YCL of Canada has given up on Marxist and Lennin ideals, it was not received well in the USA. For a short time Terlesky attended meetings of the I.S. ( International Socialists) in Toronto after the YCL ended. Terlesky later quit the CPC and moved out west after the split. While the break-up and dissolution of the Young Communist League of Canada in the early 1990s was widely understood as a permanent shift in the landscape of the youth and student movement, the YCL's inactivity proved to be temporary. Within a few years of liquidation, the need for a communist youth organization politically and ideologically associated with the Communist Party of Canada became much clearer in perspective of the Party. The late 1990s saw a new surge of activism with the WTO and FTAA protests in Seattle and Quebec City. Despite difficult conditions where socialism, communism, Marxism and Leninism were broadly understood as social failures, young people were inspired by these movements and drawn to the idea of re-creating a YCL. Nevertheless, the problems of ideological clarity which had not been resolved in the 1980s continued. Attempts to reorganize the YCL in 1994 and 2000 were unsuccessful. A youth group called the "Red Star Youth Collective" was formed in Toronto, but soon renamed itself Young Left and split with the Party and dissolved; its main efforts were centered upon international solidarity. In fall of 2003 a conference in Vancouver was held which formed a Young Communist League Preparatory Committee. When interest was expressed by youth across the country, the YCL expanded to Alberta, Manitoba and southern Ontario. In 2004-2005, the YCL was among a leading group which came together to organized a delegation to the 16th World Youth Festival in Caracas. Soon after the YCL was readmitted to the World Federation of Democratic Youth, and began re-organizing in Quebec. In March 2007 the Young Communist League of Canada held a small three-day convention in Toronto, the 24th Central Convention of the YCL and the first since the 1991 dissolution. The convention heard from international guests representing the Portuguese Communist Youth, the Young Communist League, USA, the KNE (Greek YCL), the Unión de Jóvenes Comunistas (Communist Youth Union of Cuba), as well as the President of the World Federation of Democratic Youth. The convention adopted the framework for the re-establishment of the YCL especially a Constitution continuing the principles of democratic centralism. A Declaration of Unity and Resistance recognized among other things the dynamic and militant contribution of youth in the movement; the urgency of united action against war, environmental and ecological crisis; the multi-national character of Canada; the necessity for socialism; and the relationship of the YCL with the CPC. A Central Committee of ten was elected. A Democratic Solution to the National Question! Stop Privatization! Protect and Expand Social Services! The YCL organizes regular summer camps, schools, conferences and seminars on topical issues like the economic crisis and youth. The Young Communist League held its 25th Central Convention in September 2010 at the University of Toronto. A new Central Committee was elected with Johan Boyden re-elected as General Secretary. This was followed by a busy period for the YCL, including organizing for the 17th World Festival of Youth and Students in South Africa, helping mobilize with the Occupy movement, working in Quebec and then across Canada to build support for the Quebec Student Strike, supporting the Idle No More movement, and linking many of these struggles with the 18th World Festival of Youth and Students in Ecuador. In order to reverse the attacks and shift to a counter-offensive it is necessary that these struggles develop further and move beyond spontaneous protest towards an even broader united, militant and organized extra-parliamentary fightback with the labour movement at its core. Delegates discussed the capitalist economic crisis, imperialist intervention and war globally, environmental crisis and climate change, the intensification of the attack on organized labour, youth unemployment/underemployment and precarious work, poverty wages, ableism, xenophobia and racism, the ongoing genocidal attack on Indigenous peoples, sexism, transphobia and homophobia, and the struggle for free, accessible, quality public education at all-levels. Throughout this analysis it was made clear that what connects these struggles is their relation to the struggle against capitalism, and particularly the struggle against monopoly capital and their governments. At the Pan-Canadian level this means the struggle against the Harper Conservative government which represents a consolidation of the anti-social offensive of capital. The Convention greeted guests from the Cuban Consulate, representing the Communist Party of Cuba and the Cuban people, the Canadian Union of Postal Workers, the Ontario Raise the Minimum Wage Campaign, the Solidarity Committee with the Communities Affected by Chevron and McMaster’s Boycott, Divestment and Sanctions movement for solidarity with Palestine. The Convention elected a new Central Committee with Drew Garvie as General Secretary. The Convention also faced controversy, as the leadership was forced to engage in subterfuge in order to avoid addressing a criticism written by the Revolutionary Student Movement. ↑ Kirk Niergarth, ed. Dave Kashtan "Fight For Life: Dave Kastan's Memories of Depression Era Youth Work." (Canada: Labour /Le Travail, Fall 2005), "Choices"
↑ "Sam Carr". Historyofrights.com. Retrieved 2012-10-09. ↑ Maurice Rush, We Have a Glowing Drew: Recollections of working-class and people's struggles in BC, 1935-1995, (Canada: Centre for Socialist Education, 1996), 30. ↑ Niergarth, ibid. "Youth Against Fascism"
↑ Niergarth, Ibid. "Workers Sports"